Very colorful combination over-the-arm or shoulder thick crocheted tote to be used as a market or beach bag, or for carrying anything. 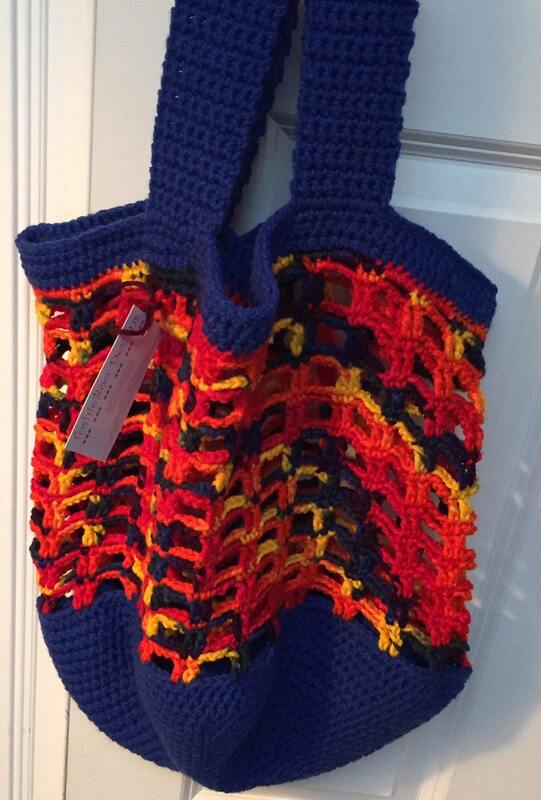 This bag measures 19 x 16 inches (not including handles) and is made from worsted yarn. It is made with large square holes, but has a solid bottom. Why look like everyone else? Carry this tote/bag and garner compliments.